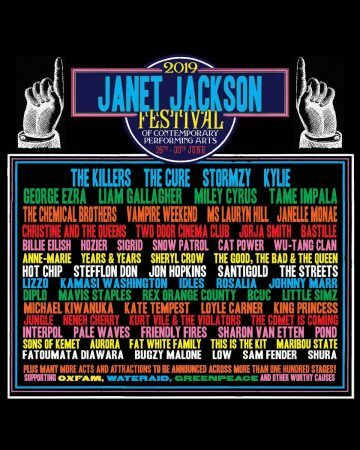 52-year-old Janet Jackson has been caught editing the poster for the Glastonbury Festival to place herself as the headliner of the event. The event in actuality is headlined by The Cure and The Killers. Organizers of the festival tweeted the original poster on March 15 stating that the Killers would headline the event on Saturday and the Cure on Sunday. 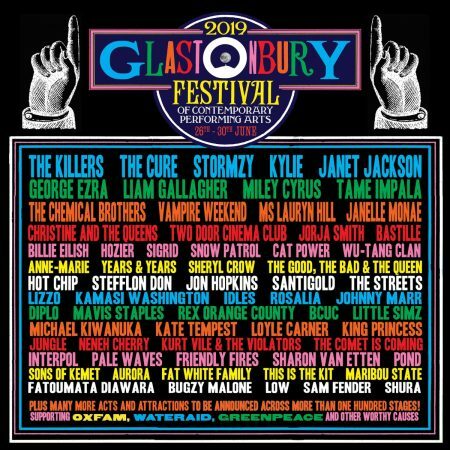 After the original poster was released, the singer tweeted her own version of the poster on March 18 with the statement that she could not wait to see everybody at Glastonbury 2019. 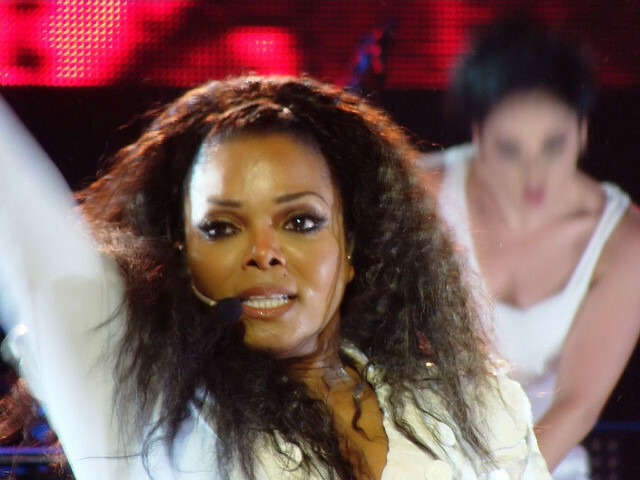 This is Jackson’s first UK concert in eight years, and her first time playing Glastonbury. Fans took to Twitter commenting about the changed Jackson poster. Mark Richardson @MCRichardson72 tweeted that he could not believe Jackson went through the trouble of editing a poster. Ken Williams @Zenmaster718 said Ms. Jackson, the new poster now looks right. 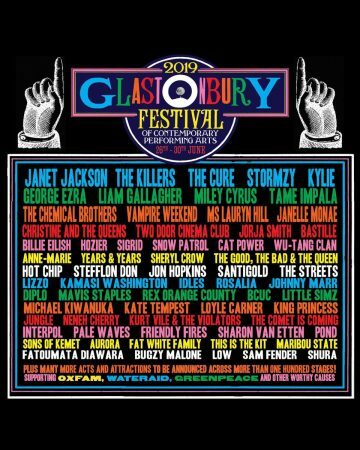 Over 60 musical acts have been announced such as Miley Cyrus, Anne-Marie, Liam Gallagher, Kylie, Christine And The Queers, and Bugzy Malone.